The first ever Dubarry Burghley Young Event Horse Qualifiers to be held in Ireland will be staged at the Tattersalls Ireland July Show in 2017. 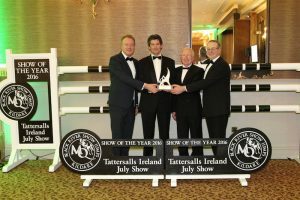 Recently voted Show of the Year at the annual Showjumpers Awards, the July Show, which takes place in the grounds of the Tattersalls International Horse Trials, is the ideal venue for these prestigious young event horse classes. The winners will each gain an entry to the finals of the Dubarry Burghley Young Event Horse Series which take place during the Land Rover Burghley Horse Trials in early September (31st August – 3rd September). The Qualifiers are open to four and five-year-old horses, with the aim of the series being to encourage breeders and trainers to produce a horse with the potential to become a world class three-day-eventer. Horses competing in these classes are required to complete a dressage test followed immediately by a round of showjumping and cross country fences, before having their conformation and paces assessed. The top ten horses are then invited back to be shown under saddle in walk, trot, canter and gallop. 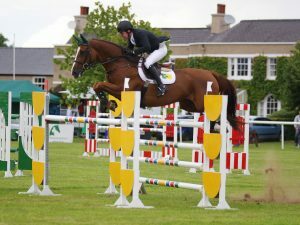 “We are delighted to host the Dubarry Burghley Young Event Horse Qualifiers at the Tattersalls Ireland July Show. The Young Event Horse Class is a wonderful nursery for equine athletes within the sport of Eventing. It is an honour to have been selected to host the first Dubarry Burghley Young Event Horse Qualifiers in Ireland, and very much hope that we will be able to provide a fitting showcase for Irish-bred potential eventers. 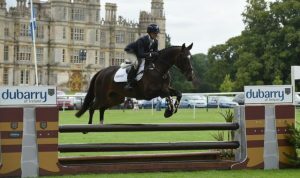 It is apt that the home of the Tattersalls International Horse Trials, an event that caters for so many young horses through the wide range of classes offered, will be staging these illustrious Qualifiers. The Tattersalls Ireland July Show in association with the Rolestown Show and Ward Union Hunt takes place on Saturday 22 and Sunday 23 July and will feature a host of equestrian classes including showjumping, in-hand and ridden showing, working hunter and side-saddle classes. The show is held as a fundraiser for the St Francis Hospice and over the last number of years has raised significant funds for this incredibly important charity. For more information, visit the Tattersalls Ireland July Show or the Land Rover Burghley Horse Trials websites.